The nearly two-year-old web series “The Annoying Orange,” which is YouTube’s eighth most subscribed channel, is making the leap to TV. Tubefilter notes that word the show was about to jump to the small screen has been bandied about for a year or so, but it’s now official- “The Annoying Orange” is coming to Cartoon Network. Management company The Collective and creator Dane Boedigheimer have paired up to produce 15 episodes of “The Annoying Orange,” which come in at a half an hour long apiece. 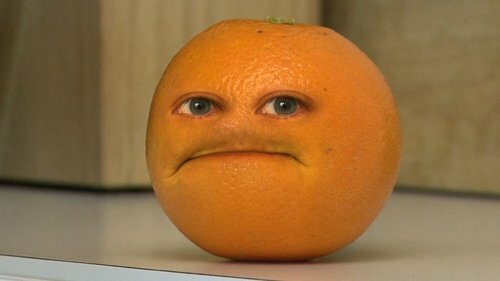 “The Annoying Orange” is set to debut on TV some time in the first half of next year, and Malcolm McDowell (amusingly of “A Clockwork Orange”) has signed on to voice one of the characters.